Differences cause the pricing for mortgages to vary and are important to know when you shop for a mortgage. The term “conventional”, when applied to mortgage financing, is different from the way we normally use it — to mean something that is traditional or ordinary. In mortgage lending, a conventional loan is privately funded, not government-backed. Very simple. Lenders often find government-backed loans more attractive than conventional loans, because potential losses are covered by a government-administered insurance program. Added safety means government loans often have lower rates than conventional mortgages. The image below shows the difference in interest rate between government (FHA) loans and conforming (Fannie Mae and Freddie Mac) home loans. Rates for government-guaranteed loans are lower, but they can be more expensive when you factor in their insurance costs and fees. Conventional (non-government) loans can be divided into two types: conforming and non-conforming. Note that while all conforming loans are conventional, not all conventional loans are conforming. It is important to know also that the terms “conventional” and “conforming” are NOT interchangeable, even though some writers use them that way. These differences between conforming and non-conforming loans reflect the lender’s ability to sell the loans to investors. The easier they are to sell, the less expensive they need to be. Once a lender funds a conventional loan, it doesn’t necessarily keep it on its books. Lenders often sell mortgages on the secondary market and use the money they get to originate new loans. Many lenders have a warehouse line of credit from a big bank. It is like a giant credit card they use to fund loans. Once loans are funded, the lenders bundle them up and sell them on the secondary market to Fannie Mae and/or Freddie Mac. To sell these loans in packages to investors, they must be as alike as possible, with a risk that can be measured. Fannie Mae and Freddie Mac are the two mortgage giants called government-sponsored entities (GSEs). The purpose of these two GSEs is to provide a secondary market for home loans. They enable mortgage lenders to originate and fund loans over and over again. Lenders sell the loans they fund to these two mortgage giants to pay off their warehouse line of credit. Fannie Mae and Freddie Mac WILL NOT purchase any loans that DO NOT CONFORM to their mortgage guidelines. Fannie and Freddie are bound legally to purchase loans that conform to their guidelines. The Federal Housing Finance Agency (FHFA) is the government entity that sets conforming loan limits on conventional loans. It is similar to HUD where HUD sets loan limits for FHA Loans. Currently, the maximum conforming loan limits are capped at $453,100 in most parts of the country. “High-cost areas” have higher conforming loan limits. Many areas in California, Hawaii, Alaska, D.C. have conforming limit caps at $679,650. Home loans that do not conform to Fannie Mae and/or Freddie Mac Guidelines are non-conforming loans. Non-conforming loans often have higher mortgage interest rates and higher fees than conforming loans. The best way to understand non-conforming loans is to do a comparison to conforming loans. Because their guidelines run from very restrictive to very lenient, interest rates for non-conforming mortgages vary widely, and shopping aggressively for these home loans can really pay off. Common sense says why even bother with non-conforming loans versus conforming loans if they are more expensive. Many folks are under the belief that non-conforming loans are for borrowers with bad credit. This is not always the case. In many cases, the only thing that makes a loan non-conforming is its size. In fact, these “jumbo” home loans may have better interest rates sometimes than those of conforming mortgages. So you might choose a non-conforming loan just to get a more expensive house. But these loans can allow you to finance by verifying your income differently or bypassing waiting periods following a serious event like a bankruptcy or foreclosure. The government divides mortgages into “qualified” or QM loans and non-QM mortgages. QM loans are safe, plain vanilla products that protect the lender from lawsuits and buybacks if the borrower fails to repay. Non-QM loans are riskier for lenders, so their rates and costs are usually higher. Non-qualifying mortgages can be useful when trying to buy a property not allowed by Fannie Mae or Freddie Mac. Here are the debt-to-income (DTI) requirements for non-QM loans at USA Mortgage. Your DTI is your monthly account payments, including housing, credit cards, auto loans, student loans etc., but not living expenses like food and utilities, divided by your gross (before tax) monthly income. For the bank statement program, we average 100 percent of bank deposits over the 24 months to derive monthly income on personal bank accounts. With business accounts, we average 50 percent of bank deposits over 24 months to derive monthly income on business bank statements. For these loans, we require 10 to 20 percent down, and you need a 720 FICO score for 10 percent down payment. Mortgages that do not conform to Fannie Mae and/or Freddie Mac mortgage guidelines are non-conforming loans. Jumbo loans are non-conforming because they exceed conforming loan limits. Is a jumbo mortgage better than a non-conforming loan? 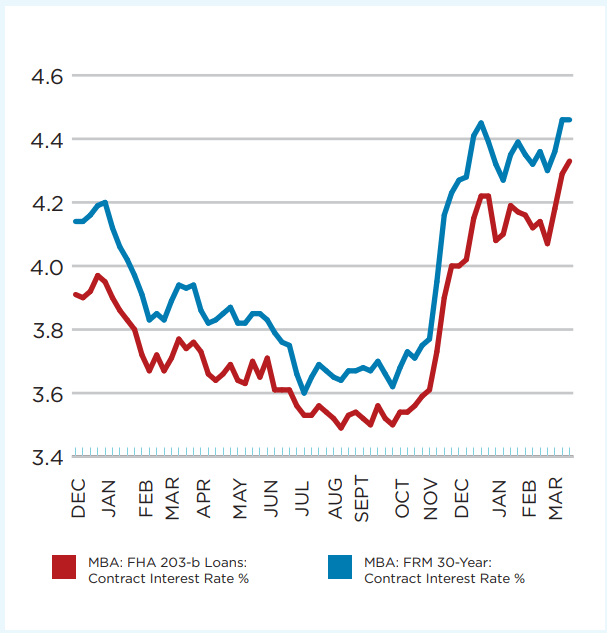 Mortgage rates on non-conforming loans are higher than government and conventional loans. Minimum down payment requirements are 5 percent to 20 percent. The higher a borrower’s credit scores, the lower the down payment requirements. With less than 20 percent down, you have mortgage insurance. With housing prices escalating and no sign of a housing correction, home buyers who do not qualify for conforming loans now can take advantage of non-conforming loans to purchase a home.